The place: Krubera-Voronja Cave in Abkhazia, located on the eastern coast of the Black Sea. The date: August 10, 2006. The first American was about to reach the bottom of the deepest cave on earth. His name was Gustavo Vela Turcott and he was from Mexico, not the USA—the first person from the American continent to climb down to a depth beyond two kilometers. There are 89 caves in the world that are over a kilometer deep (nine of them in Mexico, by the way) but only one which passes the -2000 mark. Kruber-Voronja is a very vertical cave with many big drops, one of them measuring 152 meters. It has plenty of cold, tight, muddy passages and a few confusing spots where you could easily get lost. Above all, it is an Alpine Cave, meaning it’s about 3° C cold, something like being inside a refrigerator. Gustavo Vela in Kruber-Voronja. Photo by Al Warild. Gustavo Vela Turcott was born in Mexico City in 1973. He is the author of Un Viaje al Mexico Profundo (A Voyage to Deepest Mexico), published in 2005 by Editorial Santillana, Mexico City. This volume is, in my opinion as a long-time caver in Mexico, the finest book on Mexican caves and caving so far produced. 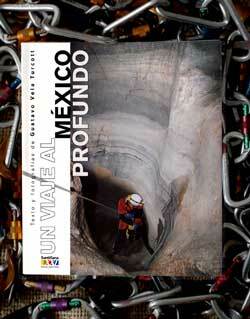 Un Viaje al Mexico Profundo by Gustavo Vela Turcott, has 180 pages in color and 200 photos. ISBN: 970-29-1272-5, Editorial Santillana, Mexico City, 2005. Available directly from the author (turmalinero@yahoo.com). 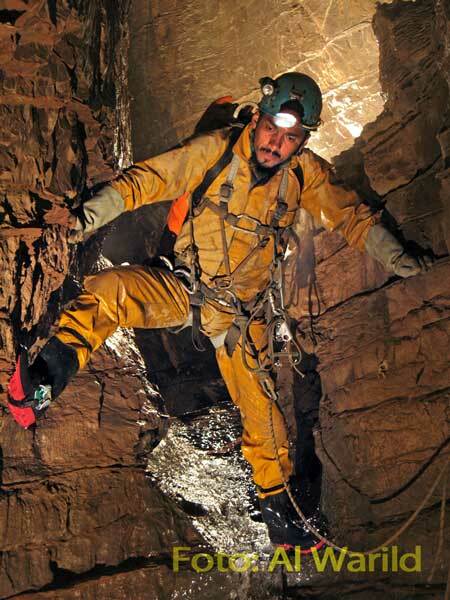 I caught up with Gustavo Vela not long ago during an International Congress of Speleology and--for Subterráneo magazine and the Guadalajajra Reporter--I asked him a few questions about his passion for exploring deep caves. 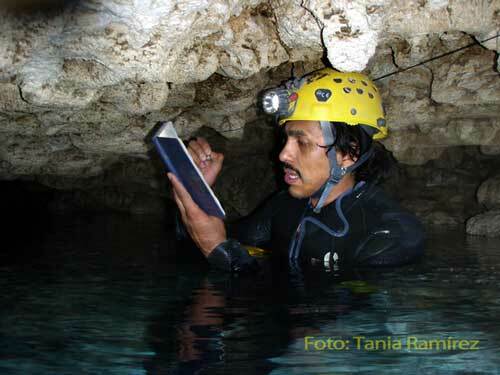 Subterráneo: Gustavo, please tell us how you got started caving. 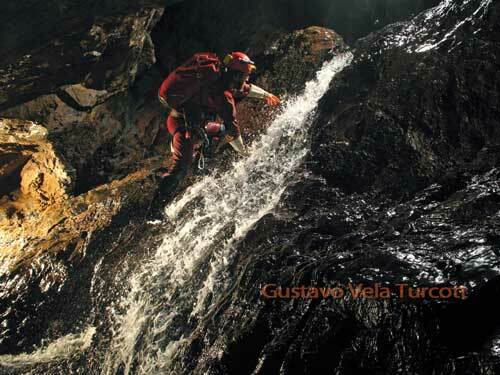 Gustavo Vela: It all began when I joined the UNAM (Mexican Autonomous University) mountain-climbing club. I knew nothing about Speleology, but in 1994 they took us to a cave and I liked it. 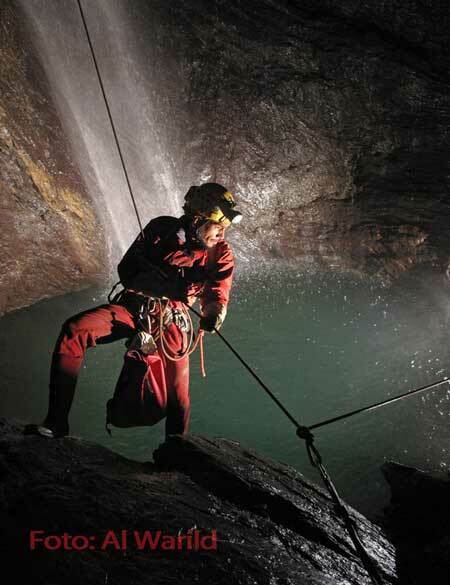 In 1997 they offered a technical course in Speleology and from then on I was hooked. Subterráneo: You have been inside some of the world’s deepest and most dangerous caves…so, what was your greatest adventure? Gustavo Vela: Surviving in Mexico City! It’s the toughest challenge of all and every day brings a new adventure. Subterráneo: I believe it, but tell us about your first international expedition. Gustavo Vela: This took place in 1999. It was to Teocolote Cave in the state of Tamaulipas and it was led by Texans. We camped for seven days and it was the first time I really got involved in speleological exploration. All my previous experiences had been sport caving. I really loved the challenge and with every trip, I’ve enjoyed it more and more. 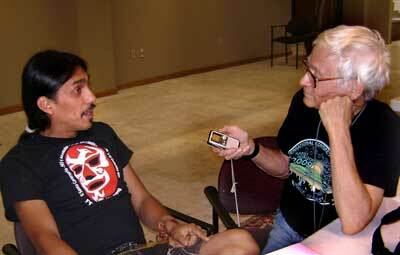 Gustavo Vela: Well, one expedition has always led me to another, like a snowball rolling down a mountainside. I meet somebody who knows somebody else and off I go again. And that’s how I got involved in the Charco Expedition, which took place in the year 2000, the same year I joined The Mexican Society for Underground Explorations (SMES). I had always dreamed of doing a cave 1000 meters deep and I finally got the chance, in Charco. Subterráneo: I believe it, but tell us about your first expedition to a deep cave. Gustavo Vela: Well, that would be an expedition to a cave called Charco, which took place in the year 2000, the same year I joined The Mexican Society for Underground Explorations (SMES). I had always dreamed of doing a cave 1000 meters deep and I finally got the chance, in Charco. Subterráneo: Where is Charco and what’s it like? Gustavo Vela: Charco is located in the northern part of the state of Oaxaca. I had joined an international expedition organized by two U.S. cavers. The cave had been found in 1989 and seemed to lead down to one big puddle (charco in Spanish). This was bypassed in 1993 and led cavers to very, very narrow, tight passages and a series of short drops. Although the cave was difficult, people continued to push it in the hope that it would eventually connect with Mexico’s more famous Sistema Cheve which is now 26 kilometers long. Over the years there were a lot of deserters because of how difficult this cave proved to be. Eventually it passed 1000 meters in depth. That far down, there were no places to camp at all and cavers had to sleep in hammocks attached to bolts set into the walls. Dye tests proved that Charco is hydraulically connected to Cheve, but no human being has ever been able to make the connection. The cave is so muddy, humid, slippery, cold and tight that I would call it one of the most inhospitable and lonely places on this planet. 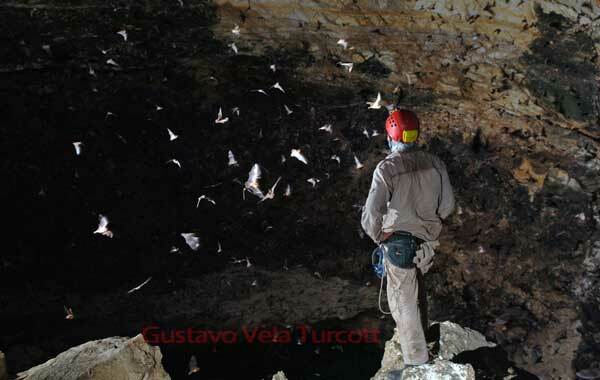 At 1278 meters deep, it is presently the third deepest cave of Mexico. Subterráneo: Wow! How did you manage to top that? Gustavo Vela: Well, in 2003 I participated in an expedition to Cheve. They had reached a depth of 1,386 meters, set up three permanent underground camps and had mapped 24 kilometers of passages, but they were stuck at a sump no one had been able to get through. Forty-five people from eleven nations participated in our expedition and on this occasion four divers, led by Bill Stone, succeeded in negotiating the sump, which was 140 meters long, only to come to another sump, this time 282 meters long. They also got through this one and reached a depth of 1484 meters, making this the deepest cave in Mexico and the eleventh deepest internationally. Since the limestone at Cheve has a vertical potential of over 2500 meters, there is hope that this might someday end up being the deepest cave in the world. Subterráneo: So all this made you thirsty for a 2000 meter-deep cave? Gustavo Vela: Of course. 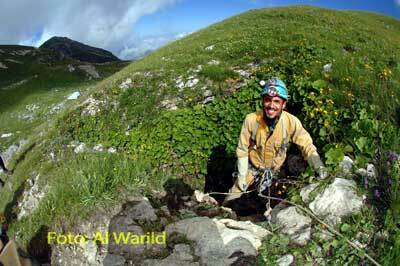 Now, in 2005 I met Alan Warild, who has done more than eight solo trips to caves over 1000 meters deep. He was talking about how he had been in Krubera-Voronja, the deepest cave in the world, and I said, “I want to go, I want to go!” Then one day I got a message from him: “Gustavo, prepare your gear; we’re going to go.” But later he sent another message, from Australia: “Sorry, the expedition is full, wait until next year.” Then we got together again in 2006 at J2, another cave over a kilometer deep, in Oaxaca. “Alan,” I said, “don’t forget about Voronja.” In June he told me I was on the list and it was really going to happen. Well, I started working like crazy to save up money, borrowed cash here and there, and in July I was on a plane to Abkhazia. The only real problem I encountered there was being forced to shave my beard off. The Russians claimed I looked like a Chechen terrorist...and they weren’t kidding! Subterráneo: What was the hairiest experience you had underground? Gustavo Vela: I had several of this kind of experiences. One took place in 2007. I was with Al Warild and Franco Attolini in El Santo Cavernario. It had been raining all the time we were underground and when we came out, we were at the bottom of a pit 134 meters deep and discovered that there was now a waterfall coming down on top of us and our rope was underneath it. We got out, but climbing 134 meters while fighting a waterfall was definitely a hairy experience. Subterráneo: Would it be right to say that you eventually became a collector of kilometer-deep caves? 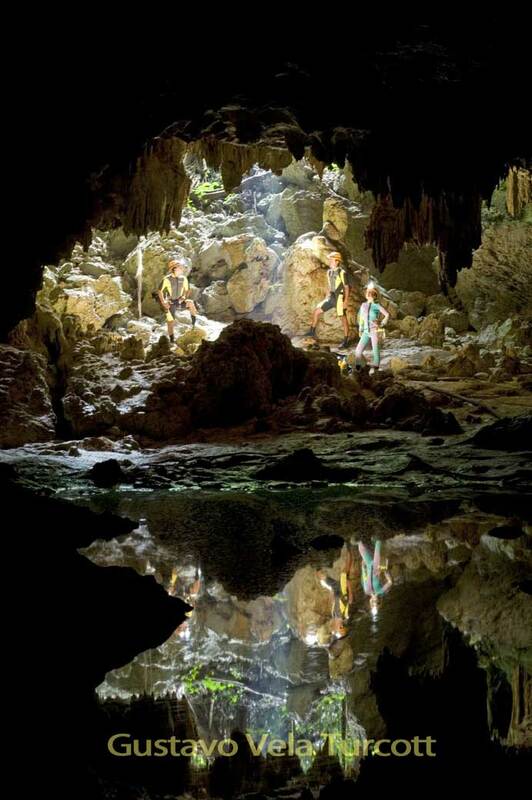 Gustavo Vela: Yes, after exploring -1000 deep caves in Mexico, I went into several more in Spain and one in France and finally I set myself a personal challenge: I had to find a minus-one-thousand all on my own…and last March I finally succeeded, although not all by myself. I was with a small group of dedicated cavers and we found El Santito Cave in Puebla. Subterráneo: What’s the story? How did you find El Santito? Subterráneo: So, are you ready for retirement? Gustavo Vela: Not exactly. In fact, next I may go to China with an English expedition, hoping to learn new things, and without a doubt we will be returning to our area in Puebla, because we have unanswered questions and caves that are still going. Subterráneo: So, can we expect another book to be coming out soon? Gustavo Vela: I don’t know. Wait until I retire, and then I’ll start thinking about it. Hmmm, but seriously, I wouldn’t mind doing another cave book…it would be a good challenge. Subterráneo: Considering your record with other challenges, we’re already looking forward to that book. 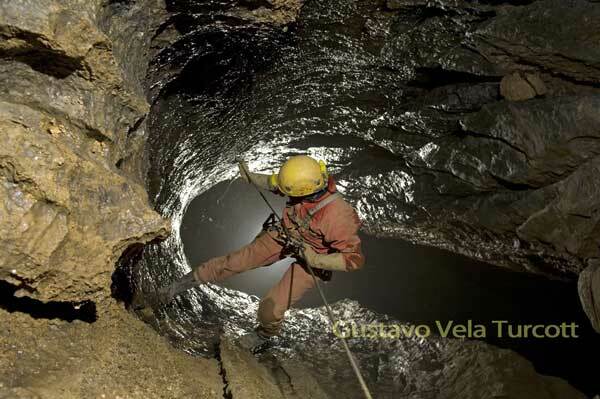 If you have recently come across a 3000-meter-deep cave and would like to tell Gustavo about it… or if you’d like to purchase a copy of his book A Journey to Deepest Mexico, you can email him at turmalinero@yahoo.com.